Creating a tropical garden becomes one of the lifestyle in modern housing concept, because the tropical garden really gives many benefits. Beside as the “supplier” of the quality oxygen, it also creates a perfect aesthetic value to the exterior part of the house. 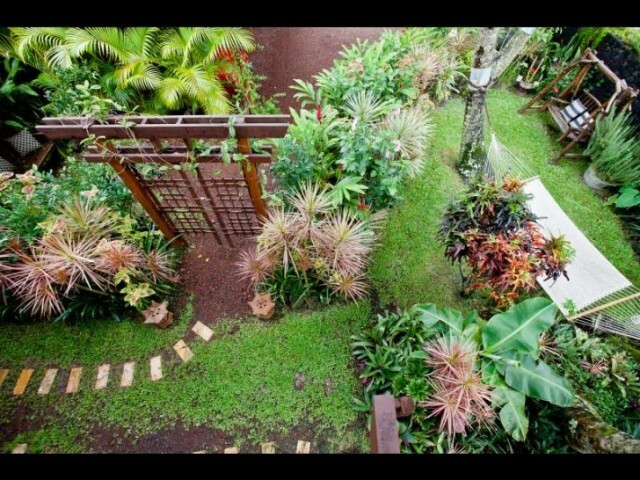 Once you’ve prepared the garden field and the soil is also manured enough, the next thing to do is to select the right plants for your tropical home garden. The banana trees, papaya trees, and also the palm trees are the best option if you want the presence of a tree in creating a tropical garden. As the small plants, you have a wide range of options. You can put aroids, orchids, or even lavenders which all of them also have a good fragrance which will soothe the atmosphere in your house. 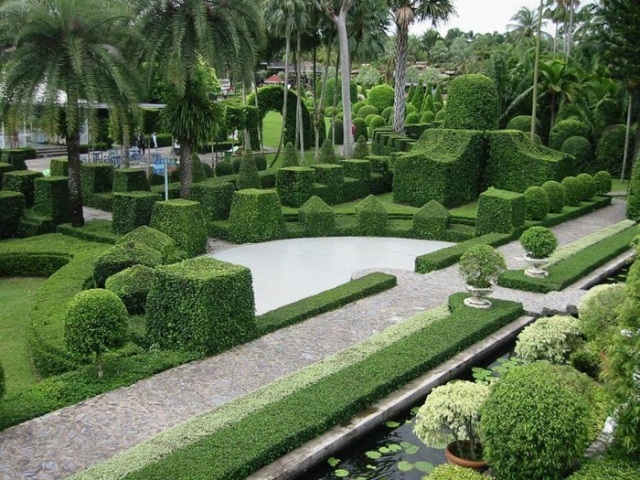 The presence of hard elements like the natural stones or concrete is also important in creating a tropical garden. Set up some kind of a path throughout the garden so that you don’t need to step on the grass while you enjoy the beauty of the garden. To further beautify your tropical home garden, you can add the water element which is in the form of a fountain or a fish pond. This will simply give another benefit for the tranquility of the home occupants. Because the sound of gurgling water, combined with the beautiful visual of colorful plants could make the senses so relax.